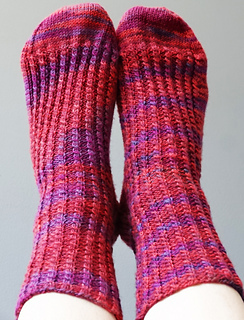 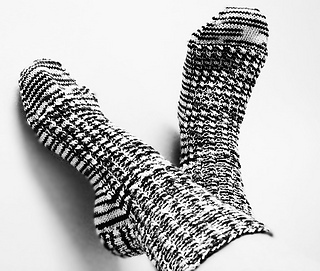 These socks are ribbed with a “Left Twist” or “LT” mock-cable. 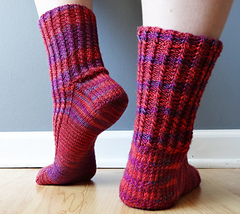 The pattern can be memorized after a couple of repeats and doesn’t even involve an actual cable needle. 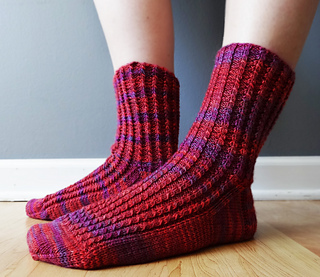 This simple cable pattern works great in any sort of colorway, so it’s a great pattern to use with that odd skein you’ve been saving for a while. 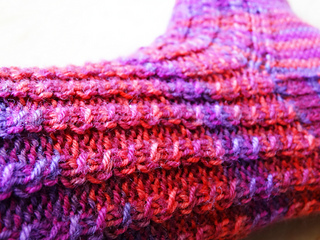 Skills needed: to work in the rd, picking up sts and grafting toes.